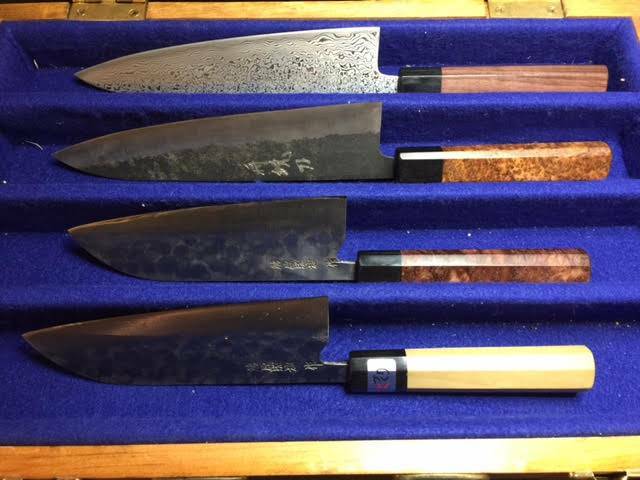 The purpose of this article and video is for me to describe not just how I sharpen knives, but to emphasize the role of coarse Japanese Water Stones. 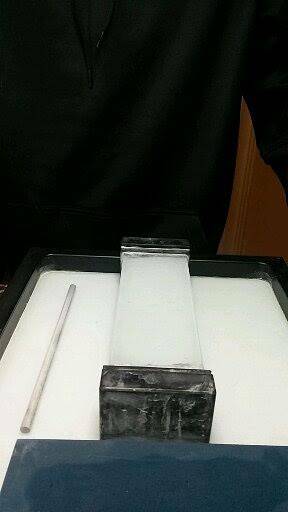 I have already written an article on sharpening with water stones. However, I think I can improve upon it and naturally, this is something I enjoy writing about. This video will hopefully provide a very good, easy to follow sharpening guide. A stone holder. It could be a piece of wood over a container of water. You need to have your sharpening setup complete so that when you start to sharpen, everything is there, you are not distracted by anything, it’s just you, the water stones, the water, the knife and your sharpening hat on that provides you with some passion, some courage, and the knowledge that what you doing is very useful. It is a continuous source of satisfaction and can lead to knives sharper than you ever seen and used. Using more than one stone in the way to go. 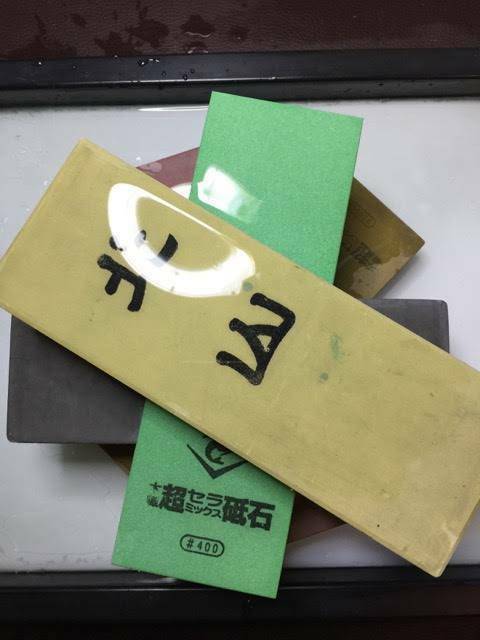 There are many who feel that when learning, it is not advisable to use a coarse stone, one lower in grit than 1,000 for example as it has the potential to damage the knife when placed in the hands of inexperienced sharpener. I was one of these people but I have since changed the way I feel about that, completely. While it is very possible to sharpen a knife from dull to sharp with a 1,000 grit stone, it has become clear to me that using three stones right from day one is the correct way in terms of efficiency to sharpen a knife. For example, a three stone combination that will deliver exceptional results is a Coarse, Medium and Fine combination such as: 400, 1000, 5000 grit. Coarse, medium and fine is key. Based on my experience, these are my favorite combinations. A winning combination is the Naniwa Chosera 400, 1000, 5000. Coarse stones: don’t be scared of using them. More reasons. When I sharpen knives, I always start with a coarse stone, when I teach knife sharpening, I teach the student with a coarse stone to kick the students journey off in the right direction. Why would I tell people not to start with a coarse stone when the benefits are so obvious to me? It is like me saying: “I would like to start you off on the right track but I think you’re too careless to use a coarse stone so maybe someday down the road when you’re not as as bad at sharpening as you are now, you can use one”. 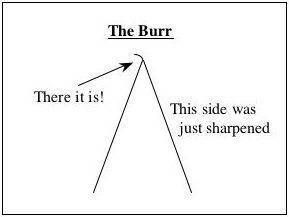 Forming a burr is really important. When sharpening a knife and especially when just starting, the the Burr formation process is critical. It is centre of gravity of knife sharpening, Burr Formation. Forming a burr leaves a sense of accomplishment, it is the result of proper fatigued metal removal, it’s a measure of success and a sharp knife always follows this component of the sharpening process. When learning, it’s a pat on the back moment, and after thousands of knives, for me, it is still a sense of accomplishment. With this in mind, a coarse stone is a BURR CREATOR, it does the job quickly, with proper technique of course, and it is the first logical stepping stone we need to take in knife sharpening. So, as long as you’re careful and you don’t take your knife and drive it into the coarse stone or put every ounce of pressure you can possibly muster and drag the knife over the stone at an absurdly acute angle, I have a feeling that anyone reading this or watching a video is not going to regret the day they introduced their knife to a coarse Japanese water stone, in fact, they are going to say “why didn’t I use a coarse stone earlier”. SHOULD I USE ONE OR TWO SHARPENING STONES? One may ask, “what if I just use one stone to make the knife sharp, is using two or three stones going to make it sharper?”. Let’s say I sharpen two identical knives in the same manner with the exception that I used a 400 and 1.000 grit combination on one and a single 1,000 grit stone on the other. Both knives are very dull to start with, is the resultant edge going to be better with the two stone finish? I don’t know if that is a question that is possible to give an definite answer to one way or the other. Does the use of a coarse stone create a stronger edge? The science and physics that could provide the answer to this is beyond me, all I do know is that when I sharpen a knife with a coarse stone (believe me, I have experimented with this scenario a multitude of times), when I use a coarse stone to start, the knives become extremely sharp, quicker and easier. 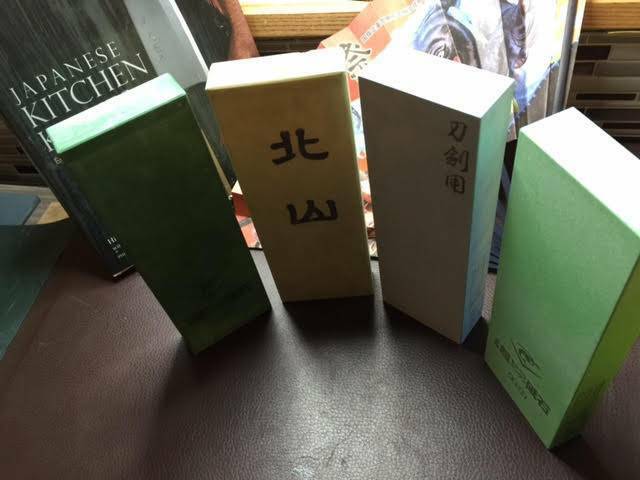 Forget which edge is better if both are the same, which process provided the most joy, what brings the sharpener back all the time, what encourages him/her and builds layer upon layer of confidence, again, the use of coarse stone before the medium to fine stone does. I have never said that using just one stone doesn’t work. What I do say is that I believe it is less efficient than throwing a coarse stone into the mix, and I have already provided a host of other benefits. One could argue that they don’t need to use a coarse stone to start because the knife is still pretty sharp. Well in that case, they are not sharpening, they are honing. 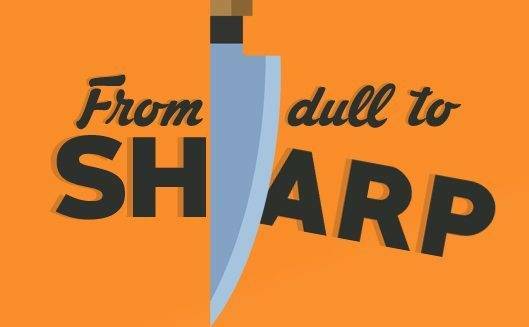 We sharpen dull knives, we hone sharp ones. I haven’t even mentioned the almost magical repair capabilities a coarse stone brings to the table. When learning, expectation management is an important tool. Confidence needs to build, you’ll feel it after every knife but know that there will be times when it is best to put the knife down and walk away for a little while. I do that still, I can have 10 knives to sharpen for example and one of them just doesn’t seem to cut it. I have taken that knife and started from scratch again, and it always turns out fine, a minor adjustment, something I probably failed to do the first time, not reaching the edge of the edge for example. These things will happen, if this was easy, you wouldn’t need to listen to me talk about knife sharpening, heck, you’d be telling your friends how to sharpen. This isn’t easy, it is skill that takes effort but your reward is going to make you feel fantastic. You’ll get it. If you only get one thing from my video and accompanying article I hope that it is a sense of pride in knowing that you will be able to sharpen your knives. you’re going to be very proud of yourself and you will provide an important service to people (and to yourself) whether they know it is important or not. How many mothers do you think are out there working hard in their kitchens, but working harder because their knives are dull? I promise you, it just takes one smile from a grateful person to motivate you to “keep it up”. Dull knives as you know are not just dangerous, they hamper culinary creativity. Dullness is the great equalizer among knives, I don’t care if you have a Bob Kramer dream knife or Fujiwara miracle blade like I do, if it is dull, it’s just a piece of nice looking steel. I personally think letting knives of this calibre go dull are an insult to the creative geniuses that made them. They have spent a lifetime creating knives that surpass all our expectations, why would anyone let them become dull. I appreciate you watching and reading, and I wish you all the best on your own sharpening journey.